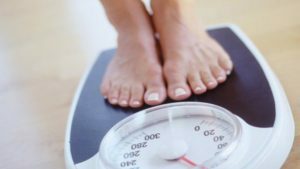 (CNN)If you are in your 40s or 50s, chances are that you are starting to notice some changes in your body, including muscle loss and diminishing strength, even if you exercise fairly regularly. Reduced levels of physical activity, increases in sedentary behavior and doing less intense exercise all play a significant role in age-related muscle loss, known as sarcopenia, which is a leading contributor to frailty and loss of independence associated with aging. Loss of muscle begins in your 30s but gains momentum when you hit 50 and accelerates even more rapidly in your mid-70s. The good news is that muscle loss and loss of strength can be slowed considerably in most cases and even reversed in some, regardless of age or fitness level. 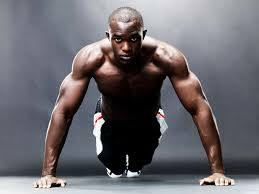 A 1994 study even showed that people could gain muscle in their late 90s. The most important intervention against muscle loss is strength training, which helps build muscle and support the connection between nerves and muscle cells to maintain the muscle you have. It also helps improve the body’s response to dietary protein. Many people, however, don’t work out intensely enough to reap the full benefits. To build muscle, you need to choose a weight or level of resistance that you have a hard time performing more than 10 to 15 times in a row. At the end of each set, you should feel tired and need to rest. Resting in between sets is an important part of the process, according to exercise physiologist Neal Pire, and the duration of rest can range from three minutes to seven. For best results, perform two to three sets per major muscle group (legs, back, chest, arms, shoulders) at least twice a week, allowing several days between strength workouts for adequate recovery, as this is when muscle growth actually occurs. If you are a beginner, start with weight machines (or hire a trainer or physical therapist), as they will help guide your form to avoid injury. As you advance, you can add more exercises, free weights or more weight to continue making progress. Dietary protein is also important to combat muscle loss, as it provides the building blocks for muscle and stimulates its growth. The quality, quantity and distribution of protein throughout the day becomes more important as you get older. Unfortunately, this is often the age when protein intake decreases, which can accelerate sarcopenia. Research suggests that older adults may benefit from protein levels that are higher than the current federal dietary guidelines’ recommended daily allowance. Animal proteins including dairy, chicken, fish, eggs and lean red meat are complete proteins that contain all of the essential amino acids required for muscle growth. Whey protein, a fast-acting protein derived from dairy, may be especially beneficial for muscle gain, especially when consumed before or after a workout. Plant protein, including soy, peanuts and beans, is not as easily digested or absorbed and may not be quite as effective for stimulating muscle growth, but it is important for the overall quality of the diet. Research shows that as you age, dividing your total protein intake evenly throughout meals in the day is optimal for muscle health. Bill Evans, a professor of human nutrition at the University of California, Berkeley who first described sarcopenia, said studies suggest that consuming protein and some carbohydrates within 30 to 40 minutes after a workout may have a greater effect stimulating muscle protein. Cardiovascular exercise such as jogging and walking is vital. What else can you do? Regular cardiovascular exercise such as walking, jogging or biking is also important for preventing weight gain, improving your body’s response to insulin and reducing the kind of fat that builds up deep inside your abdomen and leads to inflammation, which can contribute to numerous diseases including heart disease, diabetes, cancer and Alzheimer’s disease. Simply reducing sedentary behavior by engaging in more active leisure time can also help. Getting adequate sleep and managing stress is also helpful, as this optimizes the hormones in your body associated with building muscle. What you eat, in addition to adequate amounts of high-quality lean protein, is very important. Besides reducing sugar and highly processed refined carbohydrates, our diets should be rich in colorful fruits, vegetables, herbs and spices, and moderate amounts of healthy fats including olive oil, nuts, seeds and avocado. All of these foods help reduce inflammation and provide high-quality antioxidants to optimize muscle protein synthesis and maintain the health of existing muscle fiber. Finally, make sure to have your vitamin D levels checked by your doctor. 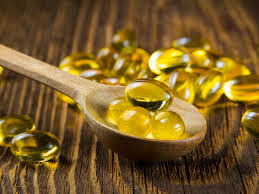 Vitamin D levels decrease with age due to decreased production by the skin in response to sunlight, decreased sun exposure due to more time spent indoors and weight gain, which can lower vitamin D levels. Low vitamin D levels have been associated with sarcopenia, so taking a daily supplement if you are low is important. All these interventions are not only important for building and maintaining muscle, they are important for optimal health as you age. The sooner you build them into your life, the better your chances of not just living longer but living better.